West Girl - Illustration store PicsForDesign.com. PSP tubes, PSD illustrations, Vector illustrations. 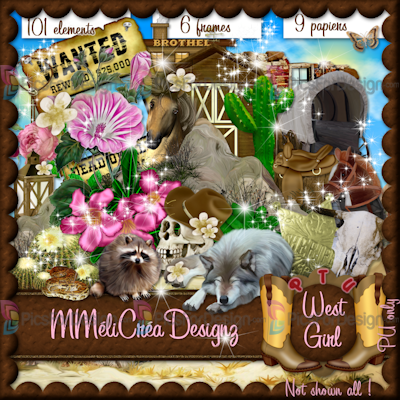 Wanted Western Girl ! Reward 25.000 $ ! Hope you'll find this girl ! 101 elements, 6 frames et 9 papers !